Complete list of all publications and more. Associate Professor, The Gallatin School of Individualized Study, New York University. Guest Professor (Professor II), Department of Archeology, Conservation and History, University of Oslo. Research Fellow, Forum for University History, University of Oslo. Post. Doc., Center for Development and Environment, University of Oslo. Lecturer, Department of History of Science, Harvard University. Research Fellow, Department of Philosophy, University of Oslo. Lecturer, Faculty of Science, University of Oslo. Head Tutor, Department of History of Science, Harvard University. Lecturer, Department of Philosophy, University of Oslo. The Research Council of Norway, Research Fellowship (Post Doc). Visiting Scholar, Historical Social Sciences, Columbia University. The Research Council of Norway, Research Fellowship. Dibner Institute Graduate Fellow, MIT. Max Planck Institute for History of Science, Summer Academy. Bertram and Barbara Cohn Fellowship, Harvard University. The Research Council of Norway, Ph.D. Fellowship. Ph.D. History of Science, Harvard University, 1999. M.A. History of Science, Harvard University, 1998. M.A. Philosophy, University of Oslo, 1993. B.A. Environmental Philosophy, University of Oslo, 1991. New York State Council on the Arts Design Award (with Nina Edwards), 2003. 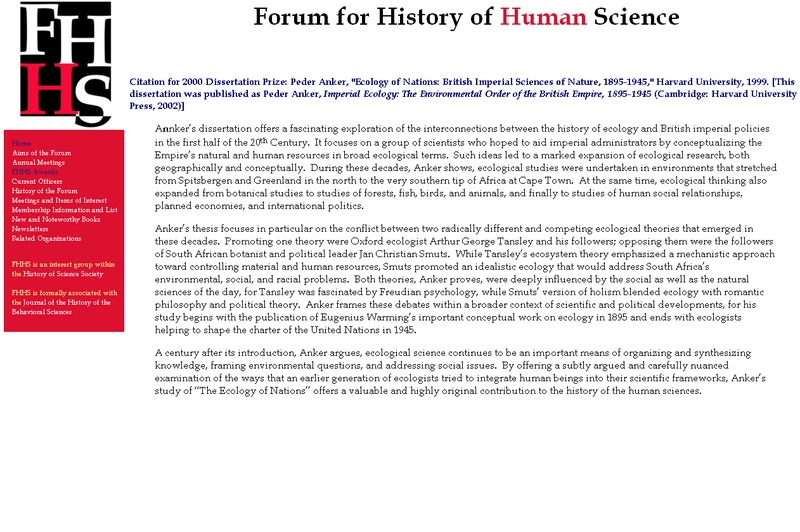 Forum for History of Human Science, Dissertation Prize, 2000. Citation. Harvard University Certificate of Distinction in Teaching, Derek Bok Center, 1997.